Sainsbury's is adding calorie-content information to its wine labelling to help consumers make informed health choices, in response to research that found that the vast majority (85%) of people did not know how many calories were in a glass of wine. The supermarket will become the first multiple to carry the information on its own-brand wine labels, which will state the number of calories in a 125ml glass. 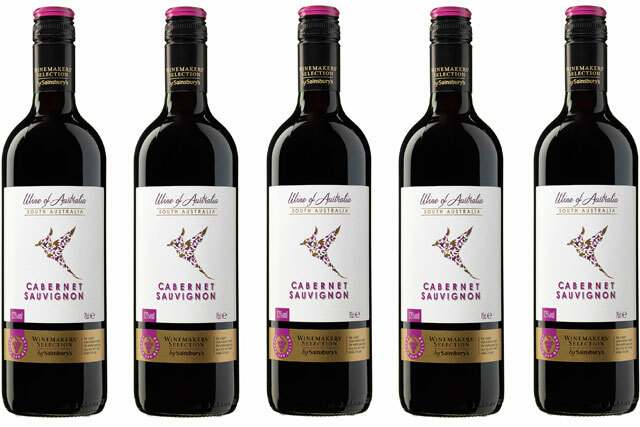 It is introducing the labelling on 20 new bottles from its Winemakers’ Selection and will continue rolling calorie labelling out during 2014 and 2015. Sainsbury’s research found that 63% of consumers did not account for wine as part of their calorie intake. More than half (58%) of those surveyed were also unaware of the recommendations around daily alcohol consumption. Charity Drinkaware states that a 250ml glass of wine of 13% ABV can contain 228 calories. The Sainsbury’s research also found that two-thirds of consumers wanted to see calorie information carried on wine labelling. Some 62% said they limit their alcohol intake to be healthier, while 44% attempt to control their weight by regulating their wine consumption. Sainsbury’s initiative has been welcomed by the Government. Public health minister Jane Ellison said: "Clear labelling has an important part to play in helping customers make healthier choices. Sainsbury’s are once again helping to lead the way in providing consumers with the information that they need to make informed choices. We welcome this move and urge others to follow suit." Helen Buck, chair of Sainsbury’s Responsible Drinking Steering Group, added: "It is clear from our research that shoppers are confused regarding the calories in alcohol. We hope that by clearly displaying this information on the bottle, we’ll be able to help our customers to make responsible choices more easily." Earlier this year, Tesco said it was overhauling its ranges of healthy foods, as it targets consumers looking to get into shape as part of their New Year's resolutions.